Cliff Thomas tells the story of the Lincolnshire Coast Light Railway. An unusual Lazarus Line… it has been rebuilt in a completely new location! THE Lincolnshire Coast Light Railway (LCLR) is a small line with a big history. It is probably unique in being a full-size (as opposed to miniature) heritage line, which has operated at two different locations (three if a realignment is added to a relocation!) under the same title – and is the only preservation project known that offers discounted travel to passengers arriving by aeroplane, much of its running line being parallel to a nearby airfield! When the Talyllyn Railway Preservation Society ran its first public service on May 14, 1951, the 2ft 3in-gauge TR became the first railway in the world to be taken over and run by a preservation society – effectively founding today’s railway preservation movement. Just nine years after this momentous event the 60cm- (2ft-) gauge Lincolnshire Coast Light Railway became the first railway to be built by enthusiasts in the UK. When its first public train ran at Humberston, Lincolnshire in August 1960 LCLR took a position at the forefront of narrow gauge preservation. 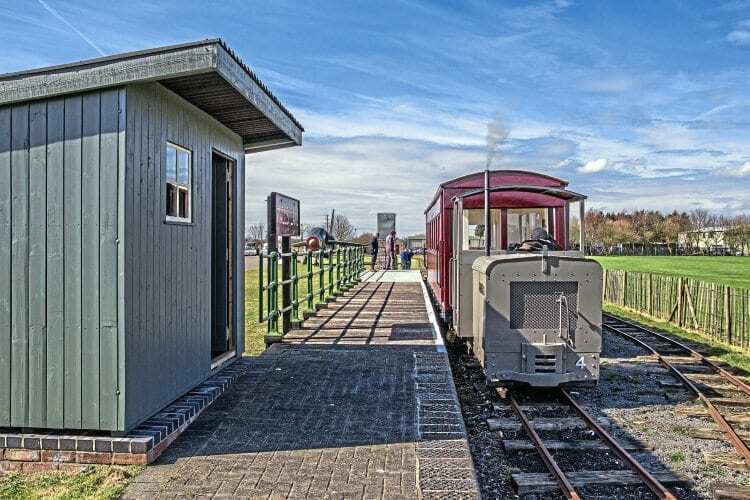 The project was born in 1958 when a group of enthusiasts developed the concept of creating and commercially operating a narrow gauge railway in a promising location in Lincolnshire. Once, narrow gauge lines were extensively employed in the Lincolnshire potato industry, one of the leading producers being W Dennis & Sons, their estate at Littleworth having some 20 miles of 2ft-gauge track by 1916. This firm started a new estate at Nocton in 1920/1921 and a railway was also developed, employing War Department Light Railway (WDLR) equipment, surplus to requirements after the First World War. This estate was sold to Smiths (the once predominant potato crisp firm) in 1936. The narrow gauge system remained in full operation until the mid-1950s when a programme to improve farm roads, aimed at replacing the light railway lines, started. The Nocton system was largely out of use by the autumn of 1960 and the last section closed in 1969. Noting the availability of ex-WDLR equipment from the contracting potato estates in the county, a limited company was formed to finance the scheme for the new railway. Grimsby Rural District Council agreed to lease a suitable site at Humberston, three miles south of the Lincolnshire resort of Cleethorpes, that would provide a link between holiday camps and the beach as a ready source of summer season patronage. Construction of the railway started in April 1960 when a hired bulldozer levelled the trackbed and sites for the stations. The line, some 700 yards long, employing 20lb/yd steel-sleepered track ballasted by boiler ash, started at North Sea Lane station, a terminus serving various holiday camps, and headed eastwards, beside Anthony’s Bank and the road towards the sea and holiday chalets at the ‘Fitties’. North Sea Lane boasted a run round loop and siding, while the other terminus, named Beach, had just a run round loop – both stations having a short platform. A Simplex locomotive and a single open bogie coach operated the August 27, 1960 official opening train, and despite the very short season, when trains stopped running at the end of September, LCLR had carried some 8,000 passengers – not bad for its first season! 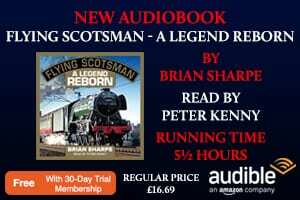 The big step forward in 1961 was the introduction of steam, Peckett 0-6-0ST Jurassic hauling trains during the final week of a season that had also seen the addition of a passing loop mid-way along the line and the arrival of further Motor Rail locomotives and extra coaches. For 1962 a two-road running shed was built at North Sea Lane, an ex-Ashover Railway coach entered service, and Jurassic provided regular weekend steam working. Traffic steadily climbed – the 1964 season saw around 60,000 passengers travel over the line, in a year when all services were diesel-hauled and steam did not figure. However, the success of the railway had attracted bus competition. To combat this an idea, first mooted in 1963, of extending the line to get the trains closer to the Fitties and caravan site was progressed. During 1965 the railway was operated entirely by permanent staff, while the volunteers concentrated on maintenance and preparations for building the extension. Negotiations with Grimsby RDC for the extension were concluded, but the railway was to be rebuilt on a new alignment to the south of Anthony’s Bank access road, about 30 yards from the original location, and running parallel to the old alignment until swinging round to the south-east, near the old Beach terminus. It then ran parallel to the coast to a new terminus, near the Foreshore Inn, named South Sea Lane station, that achieved the objective of providing more convenient access to the Fitties. Work on building the new mile-long line was undertaken during 1966. By July the new track had reached the site of the new Beach station (where there was a passing loop) and in August a temporary platform was built 200 yards from South Sea Lane so trains could run over the new alignment. The last passenger service over the old line (Simplex No. 1 Paul hauling Ashover coach No. 1) ran on Sunday, August 14, and the inaugural train over new line (Simplex No. 4 Wilton and coach No. 2) operated the following day. The new main line was completed on October 23, 1966, the rail consisting of ex-Nocton material, along with rails from the Penrhyn slate quarry system, laid on ex-BR sleepers, sawn in half. In 1968 the locomotive shed was relocated and a combined station/carriage shed – half of the platform being covered by an overall roof – was constructed at North Sea Lane, with the last materials recovered from the original line the following year. 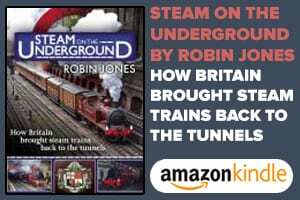 The ‘new’ railway was plainly a success; a new traffic record was set in 1968 when 70,000 passengers were carried – the trains being run for 13 hours a day, seven days a week, during the four-month season. The railway continued to thrive, but problems started to arise in the early 1980s. Following an incident, air braking was fitted to Jurassic, two Simplex locos and four of the coaches, while the coal miners’ strike in 1984 affected traffic. More seriously, the local council started applying various onerous conditions, including requiring the erection of six-foot high fencing on each side of the track. The combination of circumstances was too much and after 25 years of operating the railway closed in 1985, with the track lifted shortly after. Trains were no longer running, but this was not the end of the story. Much of the stock was put into storage, several items being sold by the LCLR operating company to the Lincolnshire Coast Light Railway Historical Vehicles Trust. The latter included one of the ‘ambulance’ vans (the other went to the South Tynedale Railway), two WDLR ‘D’ wagons, and a ‘P’ wagon, that for a while were displayed at the Beverley Army museum, before also entering storage. In 1993, Jurassic, along with five Simplex locomotives, the two ex-Ashover coaches, the ex-Sand Hutton coach, two other passenger vehicles, two ‘P’ wagons, and the rails were moved to Skegness Water Leisure Park, at Ingoldmells, three miles north of the famous seaside resort. Starting with a large shed to accommodate the stock, some of which had deteriorated during a period of open storage, restoration work was now possible. Moreover, on the agenda was construction of a new Lincolnshire Coast Light Railway. With very limited volunteer numbers available, progressing both railway construction and restoration of equipment progress was slow, but the ensuing years saw development of a fan of sidings from the shed merging into a single line to a platform and run-round loop, more or less opposite aircraft hangers associated with the nearby airfield. Initially known as Lakeview station this is now called Walls Lane station, with a wooden building based on an Ashover Railway wayside structure, added in 2015. From the platform a running line curves round the hangers into a wooded area and continues alongside a drainage dyke to reach the run-round loop at the far end of the line, a total run between loops of about 650 yards. The railway has permission to extend the line 600 yards beyond this South Loop when time and resources make this possible. A Motor Rail locomotive hauls two First World War Class ‘D’ wagons and an ex-Norton Estates carriage, the only such vehicle built for the Nocton system, past the aircraft hanger at the terminus location of the Lakeview/Walls Lane end of the line. That LCLR was indeed revived at its new location was confirmed in September 2005 when the railway held its first open day, in association with Lincolnshire Heritage Weekend. The organisers hoped for 50 visitors – triple that number actually turned up and a number of new volunteers offered to help with track laying, stock restoration and preparations to operate public trains. The great day finally came on May 3, 2009 when the new LCLR was officially opened at 11.00 in the presence of the Mayor of Skegness, Redcoats from the Skegness’ Funcoast World, and the iconic Jolly Fisherman figure. a sell-out. Five years later, over September 4-5, 2010, LCLR celebrated its 50th anniversary – not 50 years of continuous operating, of course, but an achievement well worth marking. As noted, ex-Southam Limeworks Peckett 0-6-0ST Jurassic (1008/03) introduced steam to LCLR in 1961. The last time it worked at LCLR was in the railway’s 1985 closure year at Humberston, and it last steamed when visiting Leighton Buzzard Railway in 1987. 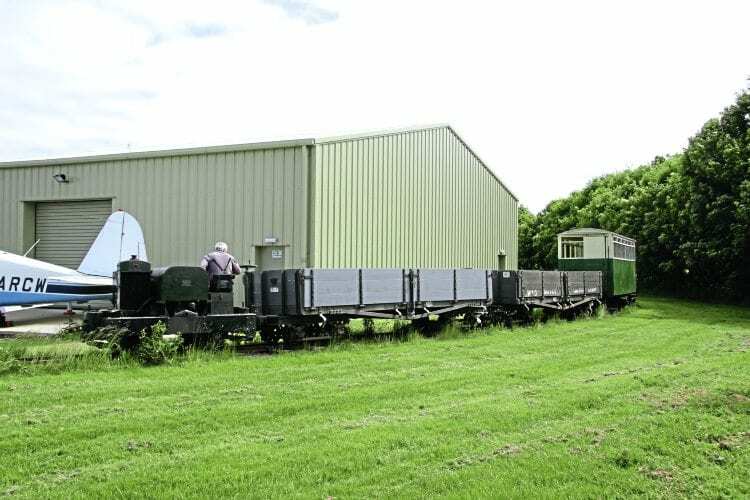 Following many years of storage, in spring 2014, the Lincolnshire Coast Light Railway Historic Vehicles Trust launched an appeal aimed at overhauling Jurassic. Volunteers made a start on dismantling at Skegness and a contract for the boiler overhaul was placed with North Norfolk Railway’s engineering operation at Weybourne. The frames, tank and cab are receiving attention at LCLR and a return to steam is likely in 2017. Two other steam locomotives figured in LCLR’s Humberston days: Hunslet 0-4-0ST Elin (HE705/99) arrived in November 1969 following her 1962 purchase from Penrhyn slate quarry by a LCLR director, and a subsequent overhaul that included re-gauging to 60cms. awaits restoration at his Richmond Light Railway. The other steam locomotive to spend time at LCLR was Bagnall 0-4-0ST Peter, which had been bought by the Narrow Gauge Railway Society, and arrived in 1961. Peter never actually worked on the line and left in May 1963, now being resident at Amberley Museum. Other LCLR locomotives are principally Motor Rail Simplex diesels, although there was a Ruston & Hornsby 27/30 diesel that was scrapped in 1968. Most were relocated to Skegness and are progressively being rebuilt and returned to service, the most recent being Humberston veteran Simplex Wilton (MR7481/1940). It made its first run over the Skegness line on August 5, 2015, following rebuilding, which included replacement of the old wooden bodywork with a new sheet metal cab and body. A recent addition is Simplex MR8825/1943 Sark (with a Deutz air-cooled, three-cylinder F3L912 engine), which joined LCLR stock in 2014, having been bought on closure of the peat operation at Bolton Fell Mill, Cumbria. Obtaining stock from the Nocton Estates system had the effect of LCLR acquiring a significant collection of First World War-era equipment. This included two bogie vans (WDLR ambulance vans), ex-WDLR Class ‘D’ drop-side open wagons, and one-ton WDLR four-wheel Class ‘P’ open wagons. The first coaches to enter service were based on ‘D’ wagons, with open bodies constructed by the LCLR. One of the ‘D’ wagons, built in 1917 by Clayton & Shuttleworth, of Lincoln, which had deteriorated during the storage period, was the subject of a People’s Millions bid in 2014. Thanks to votes from narrow gauge enthusiasts around the country, during an intense internet-based campaign, Lincolnshire Coast Light Railway Historic Vehicles Trust won £43,400 towards a project to restore the vehicle for use by disabled passengers, together with improved wheelchair access to Walls Lane station. The frames were renovated by AJ Engineering, in Lincoln, the bogies by Golden Valley Light Railway, and the body by a joinery contractor. The completed carriage returned to service in April 2016. LCLR has a trio of historically significant carriages. Passenger services on Derbyshire’s Ashover Light Railway were withdrawn in 1936 (ALR continued as a mineral line until the end of March 1950). Gloucester Railway Carriage & Wagon Co Ltd supplied four carriages to ALR in 1924, the new underframes and bodies being mounted on ex-WDLR bogies. Post-closure the carriage bodies saw use as store sheds at Clay Cross works and later at a new Clay Cross sports field. Two, used as stands beside a football pitch, were acquired by LCLR in 1961, and are identified as Nos. 1 and 2. A third (believed, although not proven, to be ALR No. 3) was scrapped in 1960, and the fourth, identified as No. 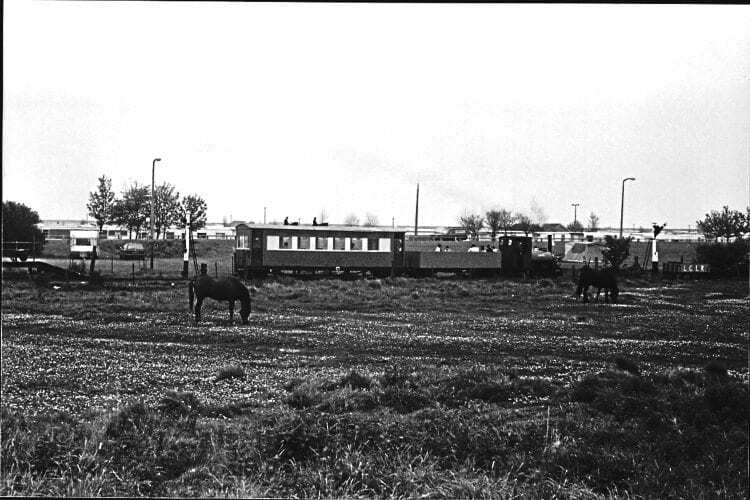 4, was eventually secured and restored by Golden Valley Light Railway. Both former ALR carriages acquired by LCLR were restored and placed on ex-Nocton WDLR bogies, the first to enter service at Humberston being No. 1, initially in a maroon & cream livery. When No. 2 entered service it carried a blue & cream livery and No. 1 was repainted to match. On relocation to Skegness, No. 2 was returned to operational condition for reopening of the railway, including reinstatement of its original longitudinal seating plan. The blue & cream colours were perpetuated, but the vehicle was given a new deep red (Ashover) livery for the opening of the 2016 season. ALR No. 1 has never run at Skegness and awaits its turn for restoration in the shed. The other significant coach body is the Sand Hutton Light Railway’s sole passenger carriage. This seven-and-three-quarter-mile 18in-gauge estate railway linked the main house on the estate of Sir Robert Walker, the Fourth Baronet of Sand Hutton, Yorkshire with LNER’s Warthill station and Bossall village. The body of the bogie carriage, built by Robert Hudson & Co in 1924, survived the line’s 1932 closure, being used as a pavilion for a ladies’ cricket team at Harton until recovery by LCLR in June 1967. It was mounted on two reconstructed timber-framed ‘D’ wagons and saw service at Humberston; it now also awaits restoration at Skegness, where it has yet to run. The minimum gauge-style body was constructed with three internal sections. One end was semi-open without windows, having 10 seats, the other end being a saloon, with six moveable seats, which could serve as a buffet, with the centre section being fitted with slatted wood seats for 20 people along the sides. Access to the carriage was via an open veranda at one end. LCLR is holding a gala day on July 16 when the unique collection of historic narrow gauge railway locomotives, carriages and wagons will be on view amid an intensive service of passenger and freight trains. This is a charming and very friendly little railway deserving of support – and new volunteers would be welcomed to help continue the restoration of truly historic narrow gauge vehicles in the collection. 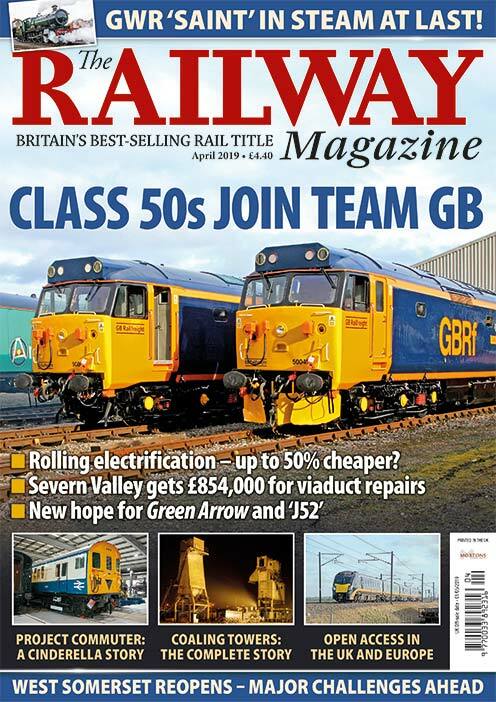 Read more News and Features in the July issue of The RM – on sale July 5!